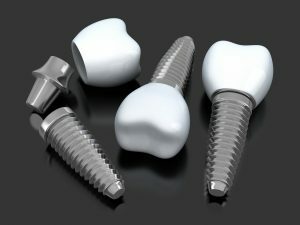 How Do You Place Dental Implants? For those with tooth loss, we have a secure and natural looking solution. We want to help patients enjoy a lifelike smile that is full and healthy. To accomplish this, we often prescribe implant dentistry. How do we place dental implants? How do we create lifelike restorations to ensure your new tooth blends with you smile? Let’s talk about the implant placement process for our North Hollywood, CA, residents! Can Dental Implants Last for Life? 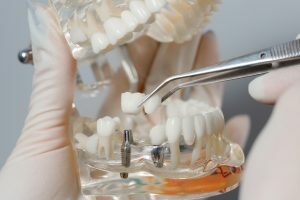 As modern dental prostheses (such as dental bridges and dentures) have advanced over the last several decades, they’ve become more durable and functional as well as more lifelike and cosmetically appealing. However, due to many different factors, such prostheses rarely last for life, and many patients in North Hollywood who wear them will have to have their replacement teeth adjusted or replaced at some point in their lives. Fortunately, adding an appropriate number of dental implant posts can help most patients enjoy their new smiles longer. In many cases, the implant posts that are inserted into your jawbone can last for life. 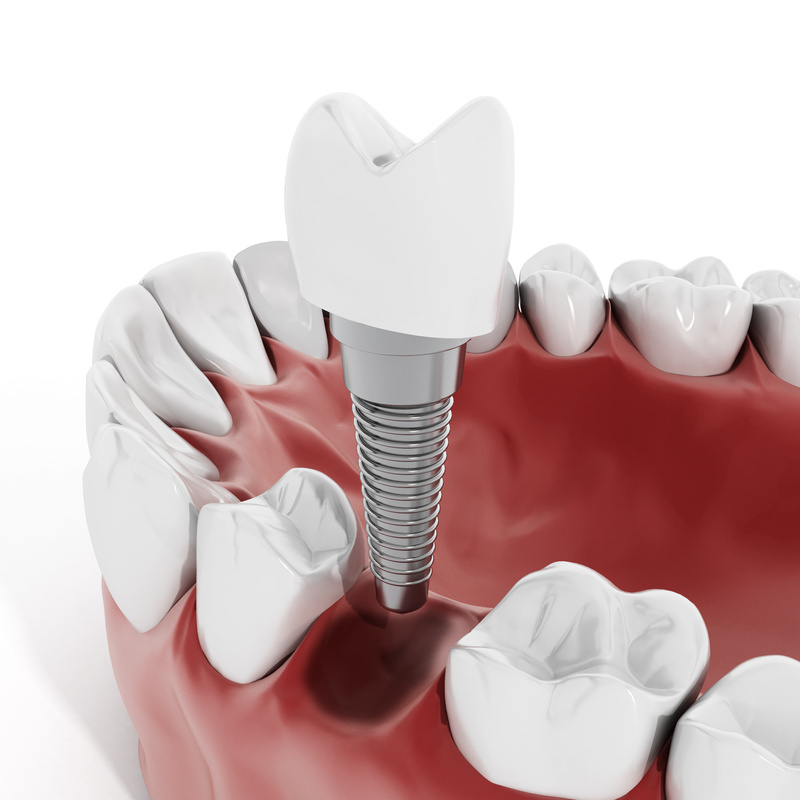 A dental implant is a small post that is designed to mimic the way a natural, healthy tooth root works. The post is inserted into your jawbone in place of your lost tooth and its root, and over time, your jawbone fuses to the post. This process, known as osseointegration, is key to what makes dental implants work. After your jawbone has healed, the implant posts become a permanent part of it, and as such, your dentist can utilize them to support your lifelike dental prosthesis in a much more comfortable, stable, and secure manner than traditional options. 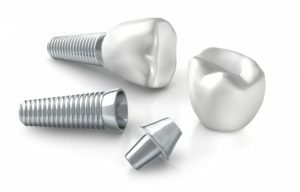 Because your dental implant posts can last for life, they can also help boost the durability of the dental crown, bridge, or denture that they support. 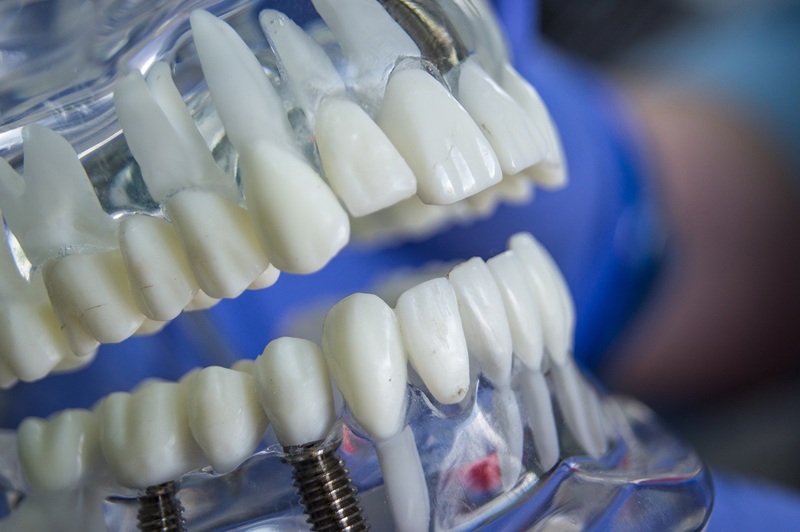 Without shifting uncomfortably or moving along your dental ridge, your prosthesis may experience less wear and tear, allowing it to last longer before needing to be readjusted or replaced. Most important, your implant posts can help prevent your jawbone from losing density and shrinking, which is a significant reason why traditional prosthesis often need to be replaced. Because of the unique way in which dental implants interact with your smile, many patients can enjoy their benefits for life with the right care and maintenance. For more information, schedule a consultation by calling Modern Smile in North Hollywood, CA, today at 818-763-9353. We also proudly serve patients who live in Burbank, Toluca Lake, and all surrounding communities. Do You Have Questions About Dental Implant Benefits? While bridges and removable dentures offer quality tooth replacement, dental implants offer our North Hollywood, CA, patients with a myriad of benefits other options simply can’t. In today’s blog, we’re looking at what makes dental implants different, as well as the benefits they offer patients with missing teeth. Tooth loss is best dealt with by preventing it, but for many patients, that isn’t always possible (or it may be too late). Fortunately, the second-best option is to replace lost teeth with the most lifelike option available. In most cases, that means dental implants, which are biocompatible posts that your dentist can place within your jawbone. Patients in North Hollywood who opt for dental implants can enjoy a wide variety of benefits for their long-term oral health, including a reduced risk of experiencing tooth loss again in the future. Dental implants are designed to mimic the supportive roots of your healthy, natural teeth, which makes them more accurate replicas of your teeth than traditional prostheses. One of the biggest benefits is that this eliminates the need for measures like dental adhesives and clasps to support your replacement teeth. In addition to making your replacement teeth more comfortable, this also makes them sturdier and more reliable. The secret to dental implants’ success is their biocompatibility. Once they’re placed, your jawbone fuses to the posts as though they were genuine, natural teeth roots. Because of their biocompatibility, dental implants are a viable tooth replacement solution for a wide variety of patients with mild, severe, or complete tooth loss. 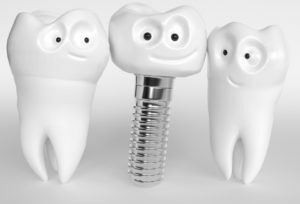 Besides helping your replacement teeth feel and function better, dental implants are also designed to help support the tissues and structures surrounding your teeth. For example, when a dental implant is placed, it replaces the stimulation that your lost tooth root once provided your jawbone. This means your jawbone can continue to receive an adequate amount of minerals and nutrients and retain its long-term health and integrity. There are many different benefits of dental implants, and if you’ve lost one or more teeth, then you may be a good candidate to enjoy those benefits. For more information, schedule a consultation by calling Modern Smile in North Hollywood, CA, today at 818-763-9353. We also proudly serve patients who live in Burbank, Toluca Lake, and all surrounding communities. The problem with tooth loss is that you don’t immediately see the most disastrous effects of it. Sure, the appearance of your smile can be significantly affected and that is important to your oral health and bite function. However, the things that occur underneath your gums, where the roots of your teeth used to be, can have an even more substantial impact on your long-term oral health and quality life. Fortunately, patients in North Hollywood who’ve lost one or more teeth can often prevent those impacts thanks to the science of dental implantology. With one or more implant posts to anchor your replacement teeth, you won’t have to worry about what you can’t see. The reason the loss of your teeth roots doesn’t seem like a big deal at first is because it doesn’t immediately affect the quality of your bite. After placing a dental bridge or partial/full denture to replace your lost teeth, it can seem like the problem of your lost teeth is solved. However, without the support of implanted anchors, like roots, your prosthesis won’t be as comfortable and secure as it could be. It also can’t stimulate your jawbone underneath your gums the way your teeth roots did, and over time, that lack of stimulation can cause your jaw to lose mass and density. Dental implants can restore the support system that your lost teeth roots were responsible for and help stop the more destructive consequences of tooth loss. That includes the loss of your jawbone structure, which makes it more likely that you’ll lose teeth in the future and suffer even more bite complications. 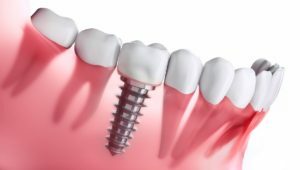 Because they reestablish most of the support that your teeth need to remain strong and healthy, dental implants offer the most comprehensive way to reestablish your bite’s full function. Dental implants are successful because they mimic the biological functions of your healthy, natural teeth roots. For more information, schedule a consultation by calling Modern Smile in North Hollywood, CA, today at 818-763-9353. We also proudly serve patients who live in Burbank, Toluca Lake, and all surrounding communities. While most people have a better chance at preserving their healthy smiles for life thanks to advanced dental care, many still face the problem of tooth loss, or will at some point in the future. For patients in North Hollywood, CA, who do experience tooth loss, the void that’s left in their smiles can lead to a host of subsequent problems if not addressed as soon as possible. 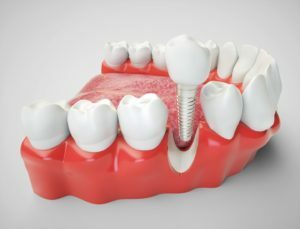 Fortunately, advanced dental implants can help them overcome those problems, successfully rebuild their smiles, and reduce their risks of losing even more teeth in the future. As dentistry has advanced, we’ve learned just how easily tooth loss can be prevented. For instance, it’s greatest risk factor – gum disease – can be prevented or controlled with excellent hygiene and routine dental care, which prevents the disease from costing you one or more teeth. However, for many patients, a combination of inadequate hygiene, infrequent dental care, and/ore neglecting to address gum disease can give the condition (and any other oral health concern) time to lead to tooth loss. When you do lose one or more teeth, some of the most profound consequences stem from the loss of your teeth roots. Besides supporting the crowns of your teeth as you bite and chew, the roots also keep your jawbone well-nourished by stimulating it. Without this stimulation, your jawbone would gradually lose mass, density, and strength. With dental implants, however, you can successfully restore the stimulation and keep your jawbone from degrading. Tooth loss creates several different concerns for your oral health. With one or more dental implants, however, you can successfully address most of them. For more information, schedule a consultation by calling Modern Smile in North Hollywood, CA, today at 818-763-9353. We also proudly serve patients who live in Burbank, Toluca Lake, and all surrounding communities. With the many substantial benefits that dental implants provide, it’s a good thing that most people are good candidates for them. However, some aspects of your oral health directly affect whether or not you qualify for dental implant posts. 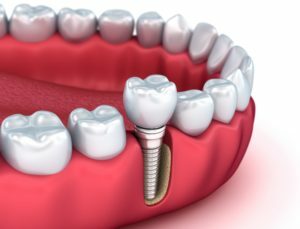 Therefore, before recommending dental implant placement for patients in North Hollywood, CA, we’ll perform a comprehensive examination to gauge if the state of your oral health might cause complications for your replacement teeth later. If we do notice trouble, then we can recommend appropriate treatment options to restore your good oral health and your dental implant candidacy. Gum disease is the most common reason behind adult tooth loss, and therefore, it can be one of the most common hindrances to patients receiving dental implants. That’s because gum disease destroys the gum tissues and jawbone that support your teeth, and likewise, your dental implant posts. If you haven’t treated and controlled your gum disease, then it may still be causing damage long after you lost teeth. Until you get gum disease under control, your dentist will not be able to recommend placing any number of dental implants. Besides gum disease, jawbone degradation is another common reason for patients not immediately qualifying for dental implants. Jawbone degradation occurs in cases of severe gum disease, which can erode your healthy bone structure, or following tooth loss after your missing teeth roots stop stimulating your jawbone. Fortunately, you may be able to boost your jawbone’s strength and integrity with a custom jawbone graft. If you’ve lost one or more teeth, then you may be an excellent candidate for a dental implant-supported prosthesis. For more information, or to find out if you qualify for dental implants, schedule a consultation by calling Modern Smile in North Hollywood, CA, today at 818-763-9353. We also proudly serve patients who live in Burbank, Toluca Lake, and all surrounding communities. Can Dental Implants Replace a Single Lost Tooth? Patients who have lost teeth can usually regain the confidence and optimal oral health they used to enjoy by replacing them with lifelike prostheses. Even a single lost tooth can negatively affect that confidence, and if not replaced, it can have an increasingly worse impact on your remaining teeth and oral structures. Traditionally, many of those effects have been mitigated with the help of a custom-designed dental bridge. However, these days, more and more patients in and around North Hollywood, CA, are enjoying more comprehensive and long-lasting results with the help of dental implant-supported crowns, instead. A dental bridge’s purpose is to fill the space in your smile that your missing tooth has created. It accomplishes this with the help of a custom-designed, highly realistic replacement tooth (called a pontic). The replacement is supported by a pair of crowns that are bonded to the teeth nearest to the gap, or abutment teeth, and the crowns are also designed to blend in discreetly with your smile. Bridges are highly effective at restoring your bite’s function as well as reestablishing your smile’s healthy, natural appearance. However, they lack a few key characteristics that make them unable to completely reestablish your lost tooth’s vital functions. Instead of a traditional bridge that relies on crowns and abutment teeth, we often recommend replacing lost teeth with dental implant-supported prostheses. 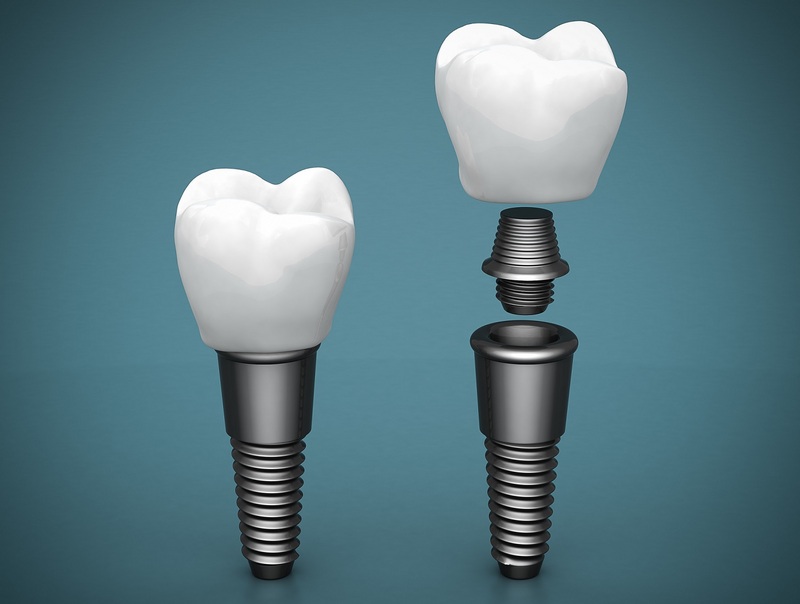 Implants are prosthetic posts that are inserted into the jawbone in place of lost teeth roots. For a single lost tooth, an implant post can be inserted and then topped with a realistic, custom-made dental crown. The implant post replaces the root of your lost tooth, which is vital to stimulating and preserving your jawbone. It also helps you avoid the need to modify your healthy remaining tooth structure, which means your teeth will remain stronger and healthier in the long run. Compared to the traditional dental bridges that patients used to rely on, a dental implant and crown can replace your lost tooth with better immediate and long-term results. For more information, or to find out if you qualify for a dental implant and crown, schedule a consultation by calling Modern Smile in North Hollywood, CA, today at 818-763-9353. We also proudly serve patients who live in Burbank, Toluca Lake, and all surrounding communities. 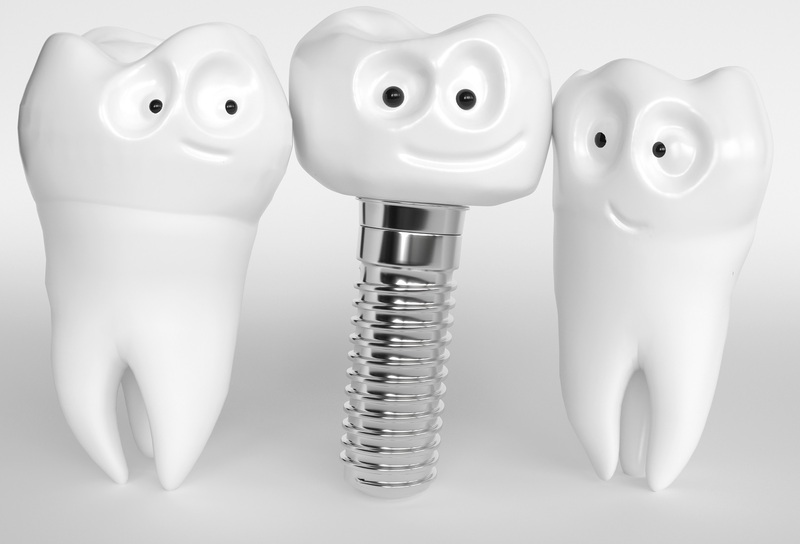 Do You Have Questions About Dental Implants? While there are several common issues that can still affect your smile, today’s advanced dental health treatments and techniques make most of them less significant than they used to be. For instance, the rate at which patients lose teeth has dropped dramatically thanks to more comprehensive and effective preventive and restorative care. Even patients in North Hollywood who do lose teeth can completely rebuild their smiles, as well as protect their long-term oral health, with the help of innovative dental implants. What do dental implant posts do? Dental implants are innovative because they do something that other dental prostheses have never been able to – they replace the roots that supported your lost teeth. Implant posts are made from biocompatible titanium, which means your jawbone easily fuses to them as it heals. This makes them as sturdy and vital as your healthy, natural teeth, and gives them the ability to support your dental prosthesis with unmatched comfort and stability. How do I know if I qualify for implants? The procedure for receiving an implant-supported restoration involves surgically placing your implant posts in your jawbone. Its success relies on you having a strong and healthy enough jawbone to support the process and to remain strong enough to support your implants long afterward. Therefore, before recommending implants, we’ll thoroughly examine your oral health to ensure that jawbone erosion, periodontal disease, or other issues won’t compromise your procedure. Do I qualify if I already wear a bridge/denture? The good news is that even if you already wear a dental bridge or denture, you may still qualify for dental implant placement. If necessary, we might suggest periodontal treatment to control gum disease and/or bone grafting to strengthen your jawbone. Then, we can design an upgraded prosthesis that comes with the more lifelike support of one or more dental implant posts. There are many benefits to choosing dental implants to replace your lost teeth. For more information on those benefits, or to get answers to more of your questions, schedule a consultation by calling Modern Smile in North Hollywood, CA, today at 818-763-9353. We also proudly serve patients who live in Burbank, Toluca Lake, and all surrounding communities. Losing a tooth could be one of the biggest things to impact the appearance and long-term health of your smile. That’s because after losing a tooth, your oral structures and remaining natural teeth respond in ways that create even more complications. Fortunately, many people can address the majority of those concerns with a custom-designed bridge or denture. However, there are several more effects that can still make tooth loss a high-risk factor for the future of your smile. With the help of dental implants, patients in North Hollywood, CA, can often make tooth loss much less of a long-term problem. Modern bridges and partial/full dentures are designed with advanced materials (like porcelain) that are made specifically to mimic your healthy, natural tooth structure. They’re also strong enough to restore most of your bite’s function while restoring your smile’s full, healthy appearance. However, one of the biggest reasons why tooth loss is such a big deal is because of how the loss of your tooth root affects your smile. The roots of your teeth stimulate your jawbone when you bite and chew, which triggers your body to send it ample nutrients. Without these roots, or an appropriate number of prosthetic implant posts, your jawbone won’t receive enough nutrition to stay healthy and your risks of further tooth loss will only increase. This effect is why dental implants have become such an often-preferred solution to tooth loss of all magnitudes. Implant posts are made from biocompatible titanium that your jawbone heals to, making them permanent parts of your smile. Your dentist utilizes the posts to support your lifelike crown, bridge, or denture, depending on how many teeth you’ve lost, which restores more of your healthy bite’s vital functions. Tooth loss could be devastating to your oral health, or it could be no big deal if you replace your lost teeth with one or more dental implants. For more information, schedule a consultation by calling Modern Smile in North Hollywood, CA, today at 818-763-9353. We also proudly serve patients who live in Burbank, Toluca Lake, and all surrounding communities.